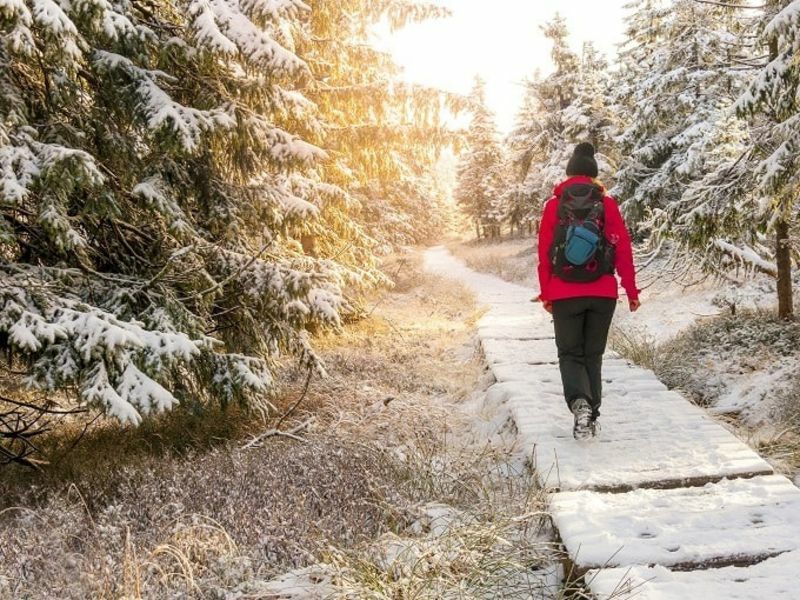 The UK may not experience the same winter weather extremes as many parts of the world, but that doesn't mean our relatively temperate climate isn't capable of springing the odd sub-zero surprise throughout the long winter months. When we think about wrapping up to protect against freezing temperatures, our first thought is often a warm jacket to retain body heat or a substantial pair of socks and gloves to keep the extremities insulated. However, one of our most-exposed and least-protected body parts are overlooked – our ears. Commuting to work, walking the dog, or just popping out for a cycle on a cold, crisp winter’s morning; you might not think you’ll need to protect your ears if you’re only going to be outside for a few minutes, but if the air is bitter, pain can quickly set in. While the discomfort is often only short-term, long-term exposure can cause a condition called exostosis, also known as ‘surfer’s ear’. This creates abnormal bone growths in the ear canal, as the body attempts to create its own protection against the cold. Exostosis can result in a build-up of earwax, which in turn can trigger infections, earache, hearing loss and tinnitus. Hats, snoods that cover your ears, and ear muffs are unobtrusive, simple and comfy preventative solutions. A sunny afternoon on the slopes can trick you into thinking the temperatures are much higher than they really are. Tempting as it may be to ditch those extra layers and leave your hat behind, it’s an unwise move. Helmets are commonplace on the slopes nowadays, with even the most experienced skiers opting to wear them. Alongside the safety benefits, they also offer effective insulation against the cold. Choose a model with padded ear covers to ensure you get the best protection from cold weather. Cold weather can present challenges for people with hearing aids. Cold conditions cause batteries to run down faster. That’s why we advise always keeping a spare battery available. Then there’s condensation to contend with. Cold air can create moisture inside the hearing aid, which presents obvious issues for the unit’s electronics. Don’t dry your hearing aid on a heater if it gets wet or suffers from condensation – drying containers are available, which can prevent damage. Ask your hearing care specialist for more information about keeping your hearing aids dry and safe. It’s worth investigating water-resistant hearing aids too, they’re significantly less susceptible to damage from condensation. The winter might be ‘cold and flu season’, but ear infections can be common at this time of year too. There are some simple steps we can all take to minimise the risk of ear infections, such as drying your ears thoroughly after showering or swimming and keeping your ears clean. Whether you’re wondering about the weather, or need advice on protecting your hearing aids, we’re happy to help. Find your local hearing care expert here.